We celebrated the Summer Solstice last week reminding us that we need to seize every outdoor moment as the days get shorter. 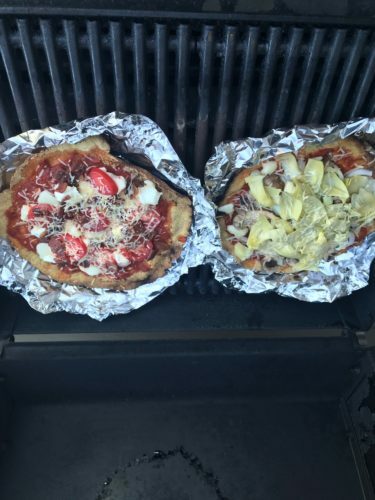 If a backyard BBQ is in your plans this Summer, or maybe some weekend camping, consider Pizza on the Grill as an alternative to traditional BBQ fare See our Basic Pizza Dough recipe HERE . 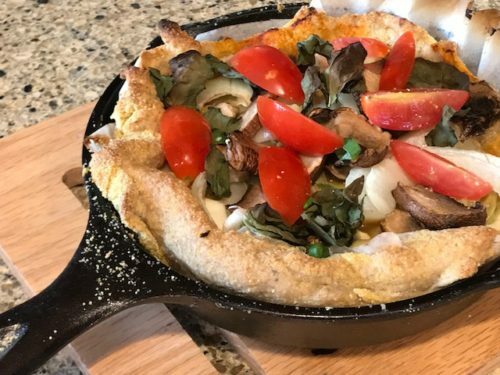 I created it using our All Purpose Flour Blend. Then I made a huge batch of Pizza Dough in the Bakery and gave it to all of my friends to try. The results of my “Test Bakers” were all Thumbs Up… great to hear as none of them are Gluten-Free. After it’s chilled, roll out the desired amount of Pizza Dough out on parchment sprinkled with corn meal. Invert onto foil and slide onto grill. I par-baked it at 450 for about 15 min. (cook times will vary depending on your grill). Want to take the dough on the road trip with you? As long as you have a way to keep it cold, you can easily double the dough recipe and refrigerate for up to a month.